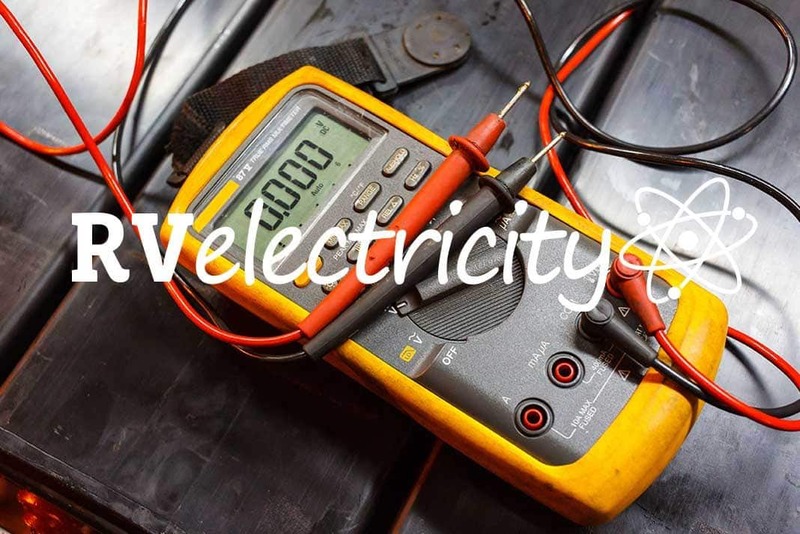 Home RV Electricity RV Electricity – Overloaded wires – What’s the big deal? 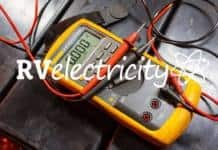 RV Electricity – Overloaded wires – What’s the big deal? While I can quote code chapter and verse from the code book all day long about current ratings, and even produce my own videos showing an intentional overload, that may not be enough to convince some of you. But as I like to say, seeing is believing. So here are two recent pictures sent to me that demonstrate EXACTLY what can happen if you make a wire carry more current than it’s rated for. Current overload can be caused by things like additive neutral currents from a bootleg 240-volt outlet, or using a dog-bone adapter to step from a 50-amp pedestal outlet to a 16-gauge extension cord, or simply by plugging too many portable space heaters onto a circuit. However it happens, overloaded wiring is really dangerous since the insulation itself can burn and catch anything around it on fire. In the first example, it appears that a 50-amp transfer switch was built using 10-gauge wires. And to make matters worse, it was built into a plastic enclosure rather than a metal one. So this could easily have created an electrical fire, and that fire may have quickly spread since it would have melted the plastic box. Pretty scary. To review amperage capacity, a 10-gauge wire is only rated to carry 30 amperes of current. So if you ask it to pass 50 amps, then it will begin to overheat. Now this will take more than just a few minutes to reach the level of burning insulation you see above, but it could easily happen within a few hours of this level of overload. Here’s a wiring gauge chart as a reminder of just how much current each size wiring is rated for. Remember, the lower the gauge number, the thicker the wire and more current it can carry. The higher the gauge number, the thinner the wire and less current it can safely carry. Now let’s take a look at a basic power strip to the right. This is what can happen even when you don’t exceed the current rating of the wire but there’s oxidation on the plug contacts themselves. Since any oxidation (a fancy word for rust) increases the contact resistance, that can begin the cycle of overheating. More heat begets more oxidation, which begets more heat, etc., and soon the plastic housing reaches ignition level. After that a full-fledged fire can happen in seconds. So the takeaway is NEVER put more current through a wire than it’s rated for. And NEVER use any extension cord plug with oxidized contacts. Finally, NEVER use a plastic outlet strip to power a portable space heater. If you do need to extend the power cord on a space heater, make sure it’s a 12-gauge cable rated for a full 20-amps of current. Previous articleAllstays Camp & RV – the Best App – is Not on Google Play Store? Please remember the 80% rule, try not to load the wiring, breaker, and etc more than 80% of its rating. Hard to know if your not sure of your wiring size and do not have a way of measuring current draw. I would suggest using a product that cleans and lubes the contacts…like De-Oxit, and even though Radio Shack is disappearing in many places,they actually sold a version of contact cleaner that works quite well..especially in old RV park pedestals that are corroded…with the breaker off of course. I use it every time I pull into an RV before plugging anything into the pedestal.Along with a good quality EMS these should go a long way alleviating hot wire problems…assuming one uses the proper cord that is.